Are you in emergency status or out of internet lines? Are you in rare DXpedition or sailing? 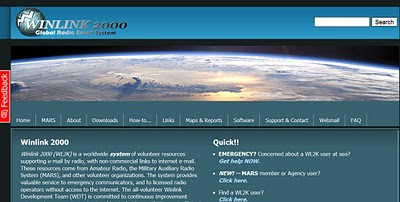 Now with the help of WINLINK 2000, Global Radio Email system, you can send your e-mails to all your friends via HF transceiver for free. 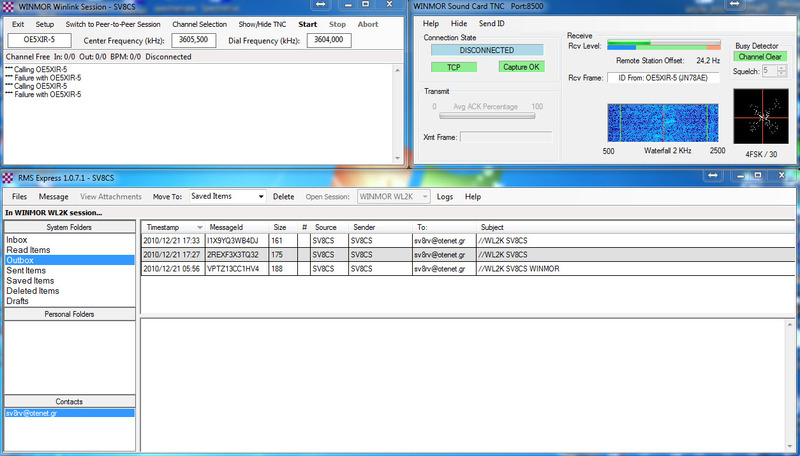 You can send it via HF transceiver as like PACTOR but you don't need an expensive TNC to do that, because the program has a Virtual TNC (non software), using the audio card of your PC. 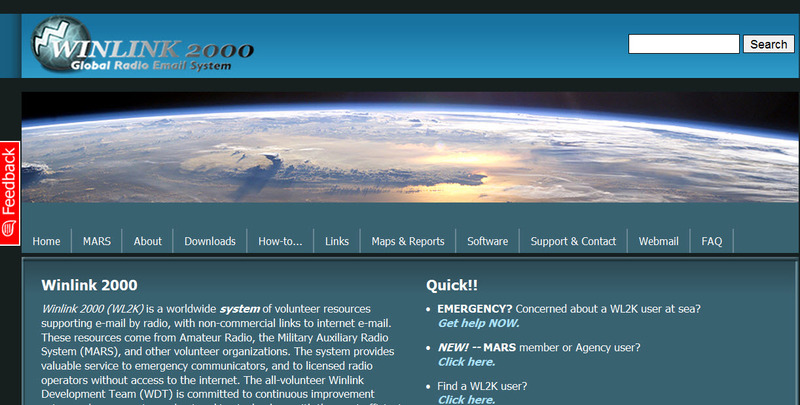 Download the WL2K program and following the instructions.You need a CAT control to set the QRG's between the PC and the radio.The program then, can give you a list of gateways (calling RMS),close to your QTH with all QRG'g etc.You can also download the VOACAP (free) to see in real time the propagation from your QTH to all WINMOR servers. OE5XIR-5 on 80m and send (for free) e-mails and receive e-mails in my PC normaly.To send and receive e-mail is as easy as Outlock express.You need a very carefull adjustment to audio (audio PC card, in and out) because any kind of distortion can destroy the signal. The author of Winmor is Rick Muething KN6KB.